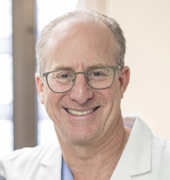 Vanderbilt University Medical Center’s Division of Trauma, Emergency General Surgery and Surgical Critical Care was recently awarded two new research grants. 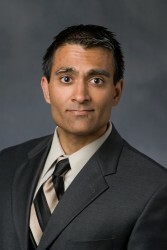 • The National Institutes of Health (NIH) and National Institute of General Medical Sciences (NIGMS) awarded Mayur Patel, M.D., MPH, assistant professor of Surgery, Neurosurgery and Hearing and Speech Sciences, a $3 million, five-year grant to advance his study on cognitive impairment after trauma and critical illness (Grant No. R01 GM120484). Patel’s INSIGHT-ICU Study: Illuminating Neuropsychological Dysfunction and Systemic Inflammatory Mechanisms Gleaned after Hospitalization in Trauma-ICU, will enroll 900 trauma intensive care unit patients, with and without traumatic brain injury (TBI). E. Wes Ely, M.D., MPH, professor of Medicine, and Pratik Pandharipande, M.D., MSCI, professor of Anesthesiology and Surgery, in VUMC’s ICU and Cognitive Impairment Study Group, are co-investigators on this study, which is the first federally funded TBI study at VUMC. Other co-investigators include Vanderbilt’s James Jackson, Psy.D. ; Christopher Hughes, M.D. ; Julie Bastarache, M.D. ; Rameela Chandrasekhar, Ph.D.; Colin McKnight, M.D. ; and Bennett Landman, Ph.D.; and researchers from Loyola University and Johns Hopkins University. Driving this proposal’s success was key pilot data supported by the Vanderbilt Institute in Surgery and Engineering (VISE), the Vanderbilt Center for Quantitative Sciences (CQS), the Robert J. Kleberg Jr. and Helen C. Kleberg Foundation, and a grant-studio from Vanderbilt Institute for Clinical and Translational Research (VICTR, VR16305). “This study moves our group’s cutting-edge work on long-term cognitive impairment after critical illness into the challenges of trauma and superimposed complexities of TBI,” Pandharipande said. • The United States Department of Defense (DOD) has awarded Vanderbilt a subcontract as part of a $10.8 million initial project to create a nationwide network of trauma systems and centers capable of conducting detailed research to improve military care. Led by the University of Pittsburgh, this contract is projected to lead to $90 million in trauma research over the next decade to improve injury care for both U.S. civilians and military personnel (Contract No. W81XWH-16-D-0024-0001). The VUMC site investigators are Richard Miller, M.D., chief of the Division of Trauma and Surgical Critical Care and professor of Surgery, and Patel. This network, called the Linking Investigations in Trauma and Emergency Services (LITES), will include extensive data collection to obtain and link information covering pre-hospital care through recovery after discharge on potentially thousands of trauma cases across the country. “The LITES Network is a historic opportunity to collaborate in a high-quality multicenter manner to drive trauma research forward,” Miller said. In its initial project, the LITES Network is expected to provide epidemiological data on moderate and severe injuries in the U.S. and identify any regional variations in the types of injuries and the way they’re managed. “We recognize the special significance of this success, especially in today’s hyper-competitive funding climate, where trauma research remains under-supported,” Patel said of both newly awarded grants.